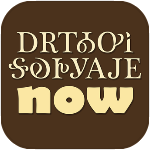 The Cherokee Alphabet Now App is now available!! Cherokee or ᏣᎳᎩ (Tsalagi) is an Iroquoian language which uses a unique syllabary writing system. To read and write the Cherokee language, you will need to learn the script. This app presents for the beginning learner the Cherokee syllabary used in print in easy-to-learn lesson sets. Before you start the lessons, we’ll cover the basics of the Cherokee writing system. The syllabary is taught through several learning methods, short or long lessons or regrouping characters by shape. After covering each lesson, a multiple choice quiz will help you test what you’ve learned. With its simple interface you can learn the syllabary in a few days. Study the characters in each lesson and write them down several times. Use the Write tab to learn to write letters in both the cursive and print scripts. Click on completed, once you know the lesson. Use the quiz to test your knowledge. Only the lessons marked completed appear in the quiz.